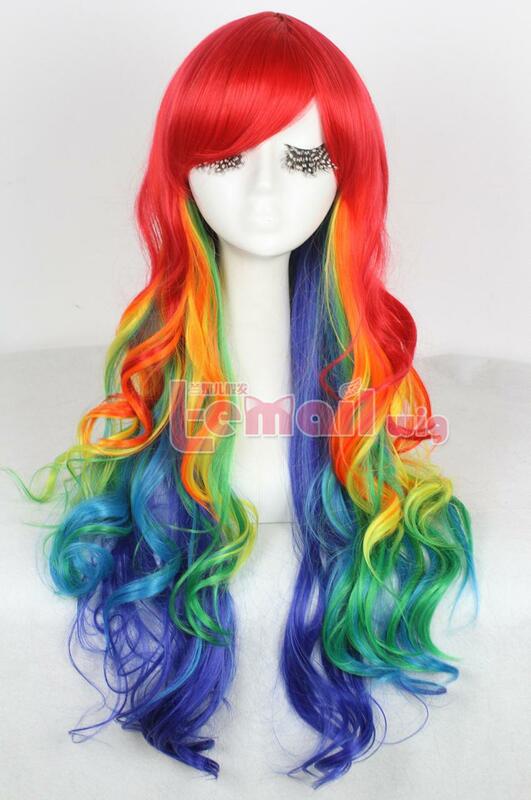 Multi-colored wigs selection or rainbow rock wig is sure to please you, no matter what the occasion being celebrated. Be it a party, or an evening out on the town; we have the hairdo to suit. 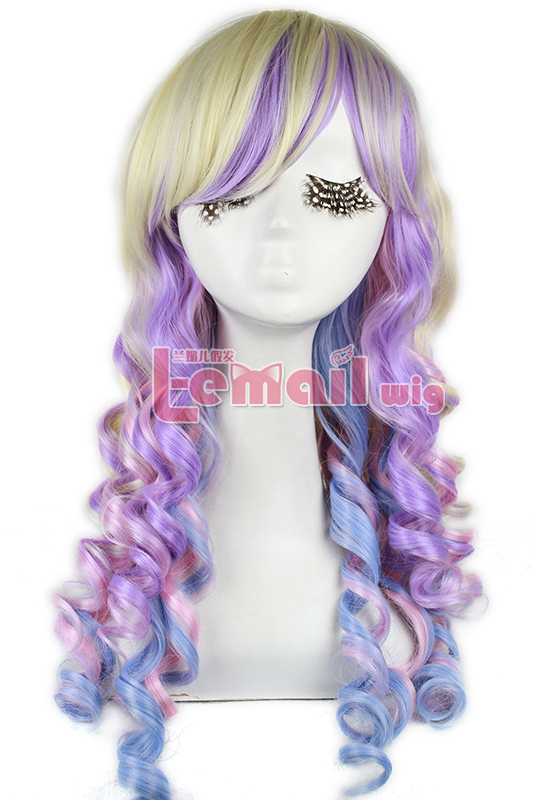 The color selection is enormous, ranging from a simple long style in various colors including neon pink and neon blue to more specific wigs designed around characters. Many are available for children which will add fun and originality to the ‘Birthday party’ to be at! 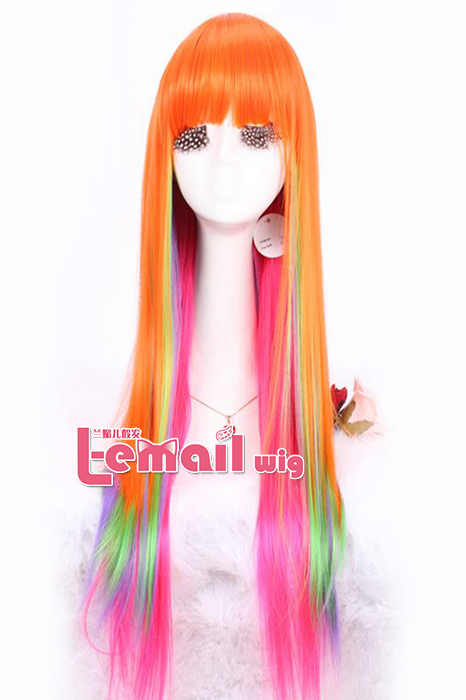 Many of our multi-colored wigs are designed with a character in mind, such as Pop stars and film characters. Combined with costumes, accessories and make up also available, these make a fitting and authentic finish to the costume and look that you desire. Be that Katy Perry or Monster High Frankie Stein, we have the look that will fit the bill. We have options for vampires, punks, glamor models and rocked out Zombies! In fact, the choice extends to around one hundred different products that are sure to suit your every need. Multi Color Wigs provide extra pizzazz to any costume. You will love some of the wacky designs and fantastic styles we have to offer. You will find long, short, curly, and straight hairpieces. We have braids and ponytails, bangs and perms. There is something for everyone. Men, women, and children can all find the right headdress for their ensemble. There is a style for various personalities. 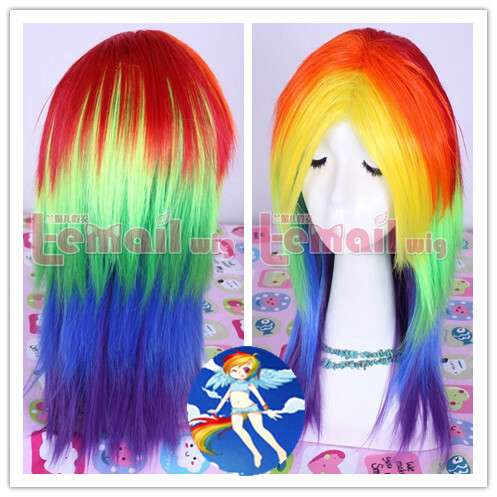 Costume wigs in different lengths and styles in rainbow of colors: red wigs, orange wigs, blue wigs, yellow wigs, pink wigs and green wigs. Our fashion wigs are made from synthetic heat resistant fibers in variety of length, from short bob to ultra long glamour wigs in colors ranging from frosty platinum and pale blonde wigs, through golden blonde and light brown wigs, brown and auburn red wigs to black wigs. This entry was posted in Wigs and tagged cosplay wigs, multi-colored wigs, rainbow rock wigs.